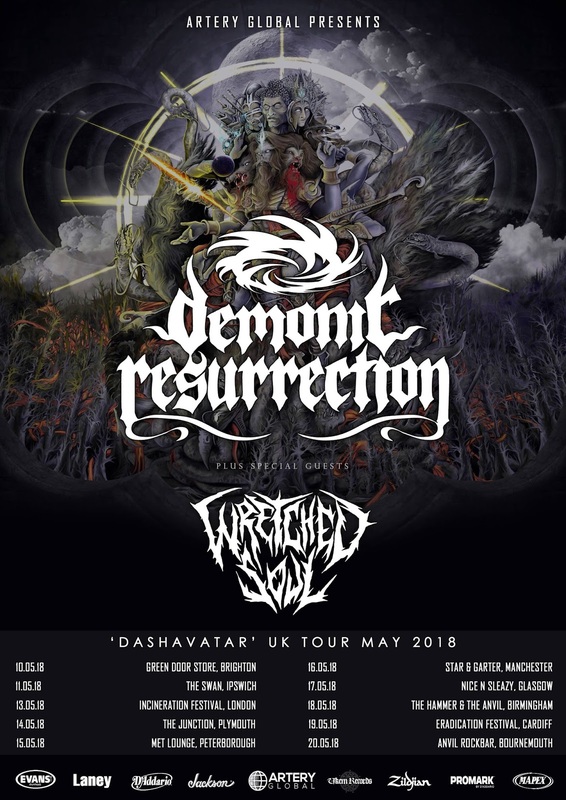 Arguably India's biggest band Demonic Resurrection have recently announced a massive tour of the U.K. with special guests Wretched Soul. Also for this tour Arran McSporran and Shoi Sen from UK metallers De Profundis will be joining the DR line-up on bass and lead guitar respectively. The band adds, "It's been 4 years since we've played in the UK and we couldn't be happier to return. We toured with De Profundis (and Onslaught) last time around and we became good friends with all of them. 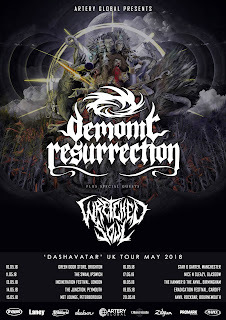 With the current line-up of the band it made the most sense to call upon our friends Shoi and Arran to fill in the empty bass and lead guitar spots, they are both stellar musicians and with their experience you know that Demonic Resurrection is going to deliver the goods. We look forward to seeing all our fans at the shows."